It’s been one year since the shifter Aron D’Angelo walked out of Frankie Franklyn’s life. But now he’s back on her island, ready to marry another. She knows, she’s seen the vision. Only not everything is as it seems, and by the end of the night, if everything goes as planned, it just might be Frankie at the altar. Charli Goodwin doesn't expect her homecoming to go without a hitch - after all, she skipped town, leaving her fiance and family without a clue as to where she was going or why. 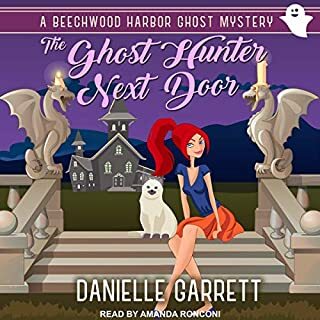 On her first night back, Charli discovers the body of her crazy great-uncle and suddenly finds herself at the center of a mystery that threatens the very foundations of Honeysuckle Hollow and the safety of every paranormal citizen in it - starting with Charli herself. 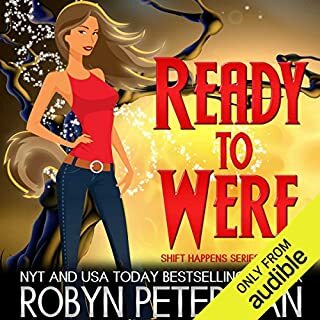 With the clock ticking, will Charli's special magical talents be enough to save not only the town, but also her own life? Sweet and absolutely hilarious! Worth 50 stars! When your father is a literal monster, the last place you want to go is home. Unfortunately, I wasn't given much of a choice. Following a five-year exile, I'm back in my childhood bedroom. Only, this time, there are silver bars on all the windows and vault locks on the doors. In lieu of a homecoming party, my father is hosting a barbaric tournament to determine who will win my hand in marriage. Ghostly Murder Mystery yet Fun! Introducing Love Spells. 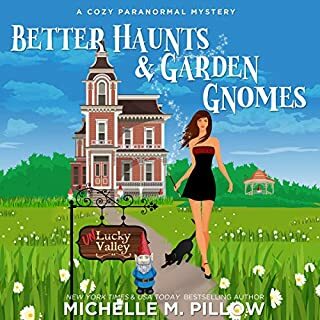 Get your laugh-out-loud paranormal here! She’s a witch who carries a family curse, destined to never get her happily ever after. Felicia Patterson has come to terms with the fact that she’ll never get to be with her one true love whoever he happens to be. But when the sexiest vampire she’s ever seen walks onto Witch Island, she can’t help her fluttering heart. He’s a vampire who’s been burned before, destined to never love again. Christoph Parks has sworn off relationships. In the century that he’s walked the earth, he’s only known heartbreak and disappointment. But one smile from the island’s sassy florist has his icy heart melting. And now that the pair have been thrown together to save their loved ones’ wedding from imploding, can they also overcome a brutal curse, find a way to trust, and finally get the love that they deserve? The story was very entraining. Loved how the heroine took charge and saved the day. I differently would like to read more from this author. 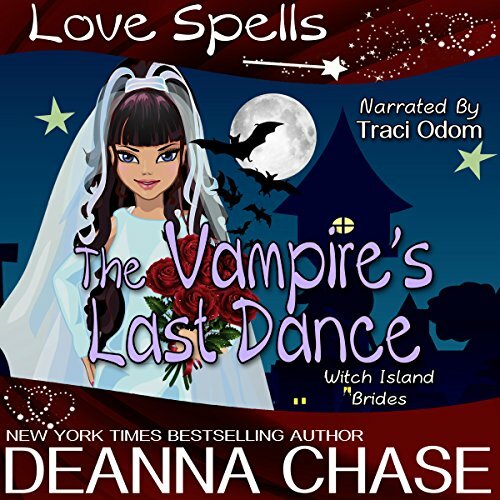 The Vampire's Last Dance is the first book in the Witch Island Brides series. Fun and sassy florist Felica had been cursed by her vengeful cousin, who just so happens to have disappeared. After lifetimes of being disappointed and destined to never love, Christoph finds himself drawn to Felicia. Can Felica and Christoph save a wedding, break a curse and find love? I voluntarily reviewed an audio copy provided by the author. 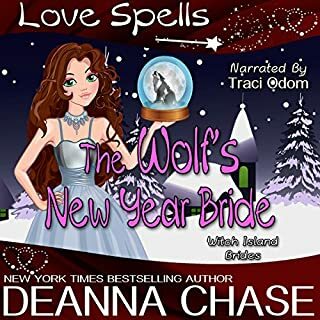 This is a great book; this is the first book in the Witch Island Brides series written by Deanna Chase and narrated by Traci Odom. She’s a witch who carries a family curse, destined to never get her happily ever after. Felicia Patterson has come to terms with the fact that she’ll never get to be with her one true love whoever he happens to be. But when the sexiest vampire she’s ever seen walks onto Witch Island, she can’t help her fluttering heart. He’s a vampire who’s been burned before, destined to never love again. Christoph Parks has sworn off relationships. In the century that he’s walked the earth, he’s only known heartbreak and disappointment. But one smile from the island’s sassy florist has his icy heart melting. And now that the pair have been thrown together to save their loved ones’ wedding from imploding, can they also overcome a brutal curse, find a way to trust, and finally get the love that they deserve.The author and the narrator did a great job on this. 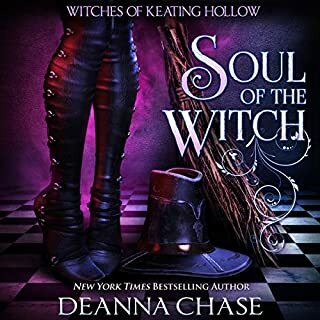 I really enjoyed listening to it and I am looking forward to the next book in this great series. I am enjoying this series surrounded by weddings and all the antics as well as the supernatural. 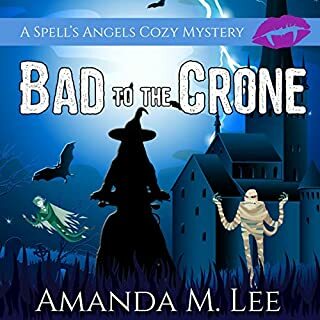 Throw in a witch and a vampire as well as a curse and you have a funny quirky book. Felicia and Christophe were funny and this was a lot of fun to listen to. Traci Odum was great to listen to without taking away from the story. I really enjoyed this book. I did read it first and loved it so much I got the audible to listen to while out walking. I am loving this series so far. It's fun, light and has me laughing at some of the things that happen in it. I would recommend if you have younger kids to listen with headphones on because it does get a little adult at times. Definitely will be listening to this again when I'm looking for something to pick my spirits up on a down day. Loved this book. I read it and then got the audio version. Why? I enjoy listening to how it is interpreted by others. Found the voice hilarious, sarcastic when needed and entertaining. Kept me laughing and on my toes as the reader meets all the great and hilarious characters in the town. Please get the audio version as I promise you will enjoy. Can they work together to fix not only wedding but break the past curse and look forward to a new future. Spells and bells which witch is the witch that can fix the trouble brews up when she twitches and curses every one.! Such an interesting book! I loved the humor and romance was excellent! The mystery was well written. Felicia meets Christoph and the sparks fly but they need to fix a problem so Bianca and Jasper will tie the knot. Esmeralda finally learns what she has done wrong and that family is important. The humor is very good because as you listen you will chuckle as you visualize the scene portrayed by the reader. The reader is doing an excellent job. The characters are well portrayed in the voice changes. Listen and enjoy as I recommend this book! Whether you listen or read the book as I have done both!